Thank you for your interest in doing business with Sandpiper Energy. We are looking for qualified companies to help us grow our business and bring environmentally friendly natural gas to communities on the Delmarva Peninsula. If you are a contractor or vendor interested in being considered for future work for Sandpiper Energy, completing the W-9 Vendor Form is a good place to start. Once a form is submitted to the Company, you will be contacted to provide additional information for future projects and contracts. Submittal of this packet does not guarantee future work with the Company; however, it makes the Company aware of your interest. Completing this package fast-tracks the process in the event your company is selected for work. Click here to download the W-9 Form in PDF format. Once completed send it to our Director of Procurement, Rudy Gonzalez (rgonzalez@chpk.com). Sandpiper Energy is interested in expanding our contractor network. We are working with other utilities in the area to create a broader network. 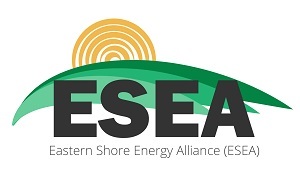 To accomplish that, Sandpiper Energy is part of the Eastern Shore Energy Alliance (ESEA). The ESEA is committed to hiring minority contractors located in our region to support economic development in our service territories. This local alliance is comprised of Sandpiper Energy, Chesapeake Utilities, Easton Utilities, and Choptank Electric Cooperative. If you are a Minority Owned Business, which includes Women, African-American, Native American, Asian, Hispanic, Service-Disabled Veteran, Physically or Mentally Disabled, you are encouraged to contact our Director of Procurement, Rudy Gonzalez (rgonzalez@chpk.com) for information about our company. Contacting us does not guarantee future work with the Company; however, it makes the Company aware of your interest. The Maryland Public Service Commission has requested Sandpiper Energy track and report data on contracts with two additional categories Veteran-Owned and Lesbian, Gay Bisexual, and Transgender (LGBT)-owned businesses. It is entirely voluntary for you to provide and confirm this information.